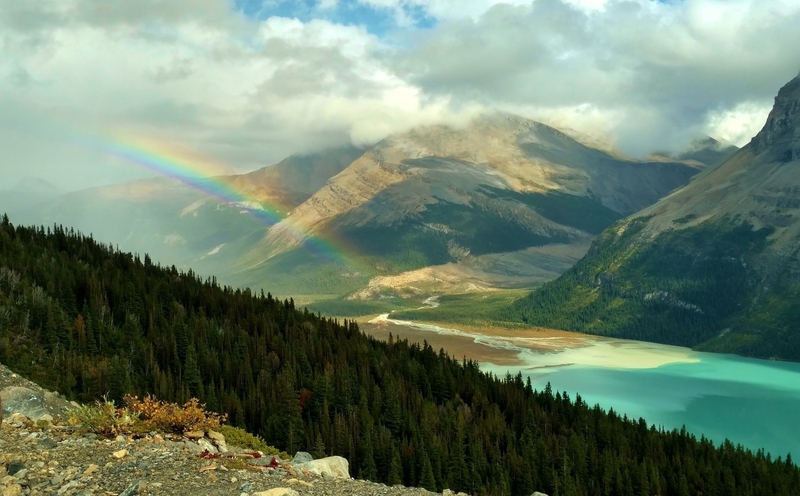 Rainbow over the valley of Berg Lake Trail. Berg Lake (front left), shoulder of Rearguard Mountain (left), and Tatei Ridge in the distance (center). Looking east from the Hargreaves Lake and Glacier Viewpoint.